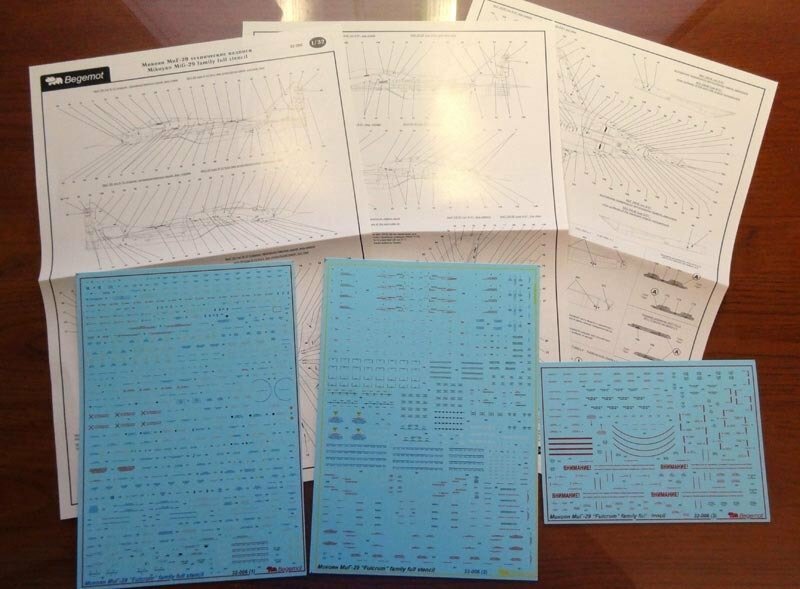 Russian language tencil for next MiG-29 version: 9-12, 9-13 and 9-51 types, not only for standard grey-green pinting scheme, also for 4-tone standard camouflage. Also in decal add stencil for all types of the external armament and hardpoints. Including two big size decal sheets, one standard size decals sheet and 6-th pages big size instructions.